We often hear this over the internet and TV when people say that Pakistanis are the most hospitable people. They are the best guests and sweetest of all. Well, to many foreigners, Pakistanis may be the sweetest because this very nation knows empathy. They are the sweetest because they know that a guest should always be served with the best of meals and the best of treatments. But the same Pakistanis never turn a deaf ear when it comes to helping or serving the fellow Pakistanis. These guys from a small restaurant in Nathia Gali Mushkpuri did something that no one would have done. Knowing the fact that the weather is crazy and it can kill them while doing so, they still did. 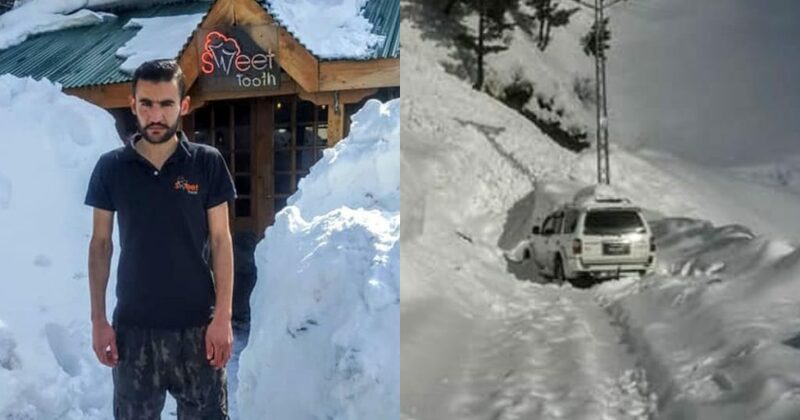 This owner of a restaurant wrote in favor of his staff, who helped a wife dig out her husband from 16 feet deep snow! 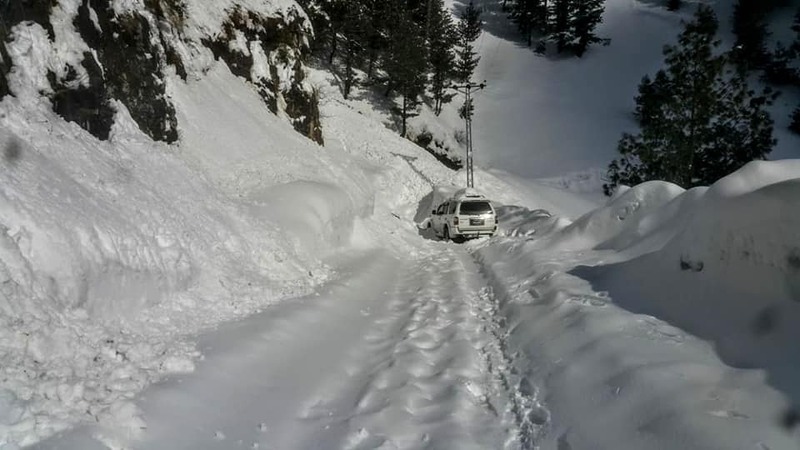 While the wife and kids were parked at a distance so they were safe, the wife rushed to the pile of snow and started digging in, the brave lady single-handedly dug out 2 boys from that snow then she remembered she had our employee’s cell number so she called him n told him what had happened while the ones she rescued rushed inside the car rather than helping the lady, she begged for them to help but the selfish didn’t leave the car, while thanking God that they were alive. 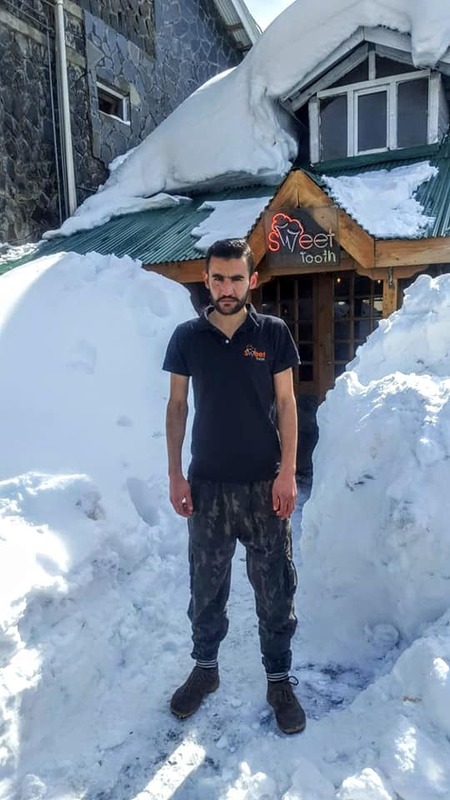 The place of accident was about 7 km away from Sweettooth Mushkpuri, Shaheen gathered shovels and along with the other staff had walked all that way shutting the restaurant down, to rescue! Just when everyone was giving up Shaheen scolded everyone asking them not to lose hope and Dig more, another 30 minutes of digging they finally hear the scream, it was Yasir! Humanity? This is my proud team? This is what makes us …US! They could have chosen not to come but these staff members are not a rescue team. They could have chosen to say no, and never appear on the place of the accident. They were not accountable to anyone if they didn’t go but they did because they value life. After digging in the snow for hours and when they couldn’t find the three lost men, they didn’t lose hope and continued their work. The staff members of this restaurant really deserve something good! Maybe the government should reward these people or show some sort of appreciation. The place where it was the government’s responsibility to have a team of rescuers which the locals should know to call but there were no rescuers, apart from the local people.